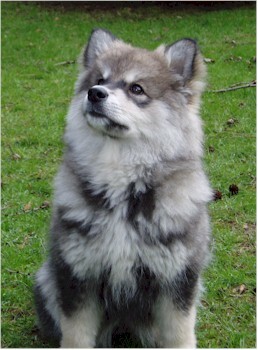 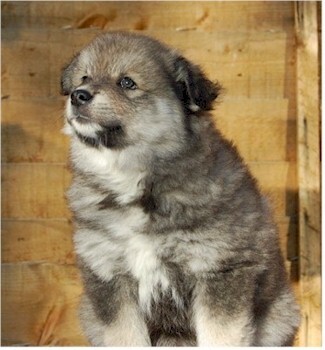 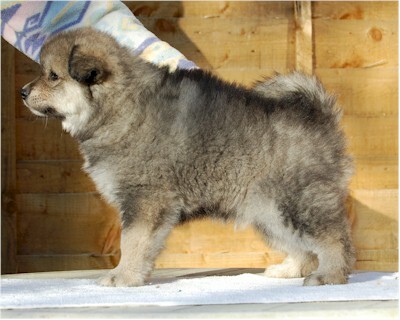 This beautifully coloured wolf sable of silver tones just had to be called Kuutamo – which translates as Moonlight. 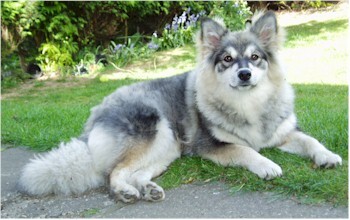 She joined Roger & Jenny and their other dogs, a Pyrenean – Sam and older lapphund, Tundra). 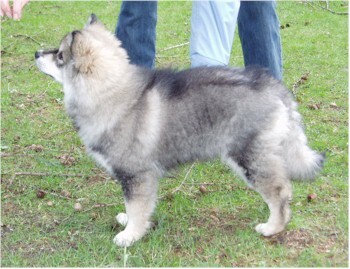 Her new pet name on the theme with Tundra is Taiga.